With a background in commercial construction and real estate investment sales and leasing, Ryan is well suited to manage commercial real estate development, acquisitions, dispositions, and landlord or tenant representation assignments. 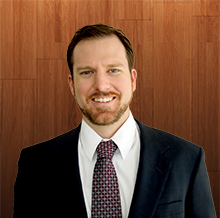 His experience includes work as an associate with KW Commercial and NAI Realvest in Orlando since receipt of his MBA from the University of Central Florida in 2012. Ryan also holds a Bachelor of Science degree in Building Construction Management from the University of Florida. He has worked on multiple retail and multifamily construction projects ranging from student housing to retail centers and hotels with experience also working for companies engaged in property restoration and environmental engineering. Ryan is a current CCIM candidate, licensed real estate salesperson, and Eagle Scout.